Though not officially a part of “tornado alley,” Florida receives a disproportionate number of tornados compared to the rest of the country. The state has averaged 66 tornados per year between 1991 and 2010. Hurricanes and tropical storm systems also generate high winds in Florida, making the state vulnerable to wind damage. Whether your home or business has been obliterated by a tornado or the high winds of a major storm, All Elements Insurance Restoration is ready to be of service and we provide wind damage claim service in Port Saint Lucie, Fort Pierce and Vero Beach. 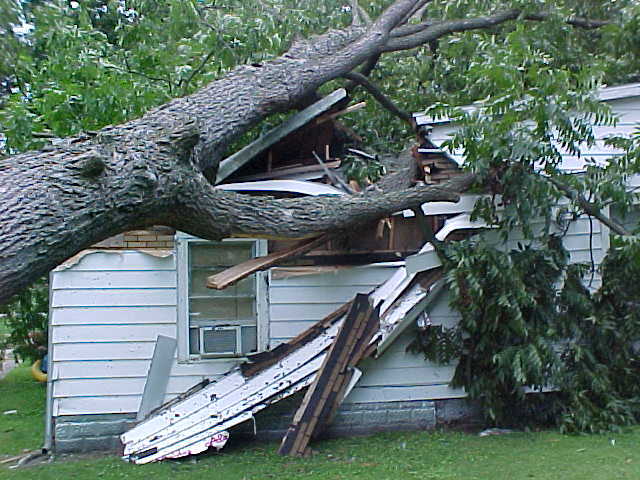 In Florida, wind damage claims are often subject to wind or hurricane deductibles. For example, if a named hurricane damages your roof and you have a high hurricane deductible, you’ll likely be required to pay much more out of pocket than if your roof was damaged by some other peril. That’s because Florida’s hurricane deductibles are usually a percentage of the insured value of your home. For example, if your home is insured for $300,000, you have a 10% hurricane deductible, and a named hurricane damages your roof, you’d be responsible for paying $30,000. Clearly, a lot is at stake with Florida wind damage claims. That’s why you need an experienced insurance restoration expert on your side. All Elements Insurance Restoration is your advocate from the moment you call us. We work tirelessly to make sure your wind claim is handled properly and that your insurance company compensates you for your wind losses. You can count on us for complete Florida wind damage insurance restoration work. 24/7/365 Emergency Response Wind Damage Repairs and Emergency Board-ups Provided. We don’t stop once your settlement check arrives. Our insurance restoration team is committed to restoring your property to its original, pre-loss condition. With a focus on quality workmanship and advocacy, our entire team shares your desire to rebuild and get your life back on track.